was shorter still at just under 2.25" with blown straight(er) sides and a brief shoulder and neck. It is not visually evident on this 100 yr.+ old example (I got from Gary) but there. I made mine from .348 Win. 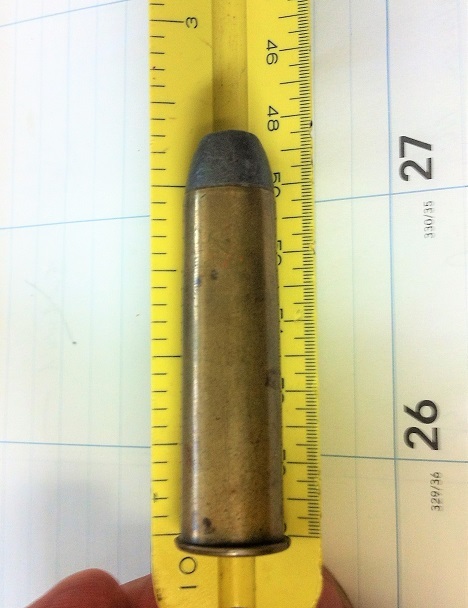 brass and used 300 gr. .510 GNR pistol bullets, Trail Boss powder.